Hi guys! I'm experiencing a little blogger's block at the moment - I can't seem to decide what I want to blog about! I decided to post about Mirenesse's eyelash curler today, to share with you my thoughts on this contraption of wonder. The Mirenesse iCurl has a design common to heated eyelash curlers - there is a lever that you flick up and down to turn the device on and off, a textured thumb pad that pushes upwards which controls the curler's clamp mechanism, and three heated silicone pads (more about that later) that start out red, but turn white upon reaching the correct temperature. 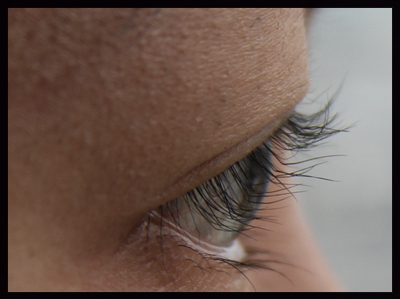 If you read my blog you'll know that I have nonexistent lashes. I'm talking little twigs of nothingness that point straight downwards like the strands of a willow tree, only more sparse and nowhere near as beautiful. I tried this eyelash curler on myself, only to realise that not only are my lashes stick-straight and sparser than the strands of hair on Homer Simpson's head, my eyes are also flat - almost two-dimensional. How depressing. As a result, it is physically impossible for the eyelash curler to catch all my lashes. 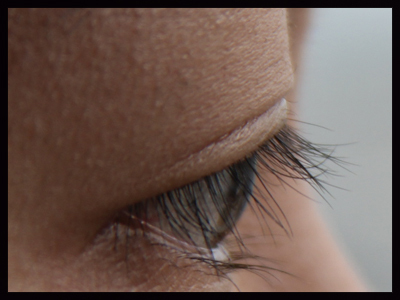 So the pictures I have posted here are of my sister's eye. This eyelash curler is difficult to use at first. Where there are usually two silicone pads that clamp together to create curl, in this curler there are three. This is meant to create a less angular, more curved curl. Because of the way the curler is constructed, and the movement you need to make to clamp the curler shut, I find myself worried that I might pinch my eyelids (which did happen once, upon which I jerked my head a little too violently, promptly pulling out a couple of eyelashes before I finally had the sense to let go and release my eyelashes from the clamp). I still haven't quite gotten the hang of it yet, but it is getting a little easier to use each time I attempt to curl my lashes with it. As you can see in the picture, where the curler manages to catch the eyelash, the curl comes out beautiful and curved. The curl holds beautifully, even after being weighed down by clumpy, heavy mascara, and lasts the entire day, even through humid weather. However, the issue that both my sister and I experience when using this eyelash curler is that the pads are to curved to properly fit our eye shape. We either end up pinching our eyelids, or failing to catch all the eyelashes on the lashline, resulting in, from the middle of the eye outwards, beautiful lashes, then lashes that bend at weird angles, to stick straight, downward-pointing lashes. I highly recommend this eyelash curler for you ladies with rounded eyes, because you will not regret this purchase! 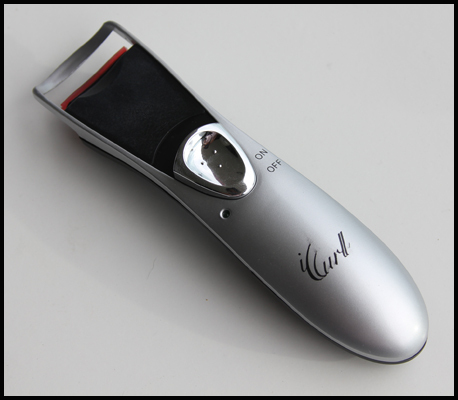 The iCurl creates beautiful, lasting curl. However, if you have flat eyes like most Asians do, then it would probably be best to check the curve of this curler against your eye shape before you purchase. This eyelash curler retails for AUD 39.95 and can be found on their website.